Nature’s fireworks of colors adorn the valley skies in autumn. Multitude of leaves in colorful shades and hues of yellow, red, and brown strongly contrast the green of the pine trees and the stark alpine peaks reaching towards the clear blue sky. Mild temperatures and outdoor activities last well into October. Autumn is a perfect season for visiting the ancient walls of Velturn and Rodengo Castles and other medieval fortresses. 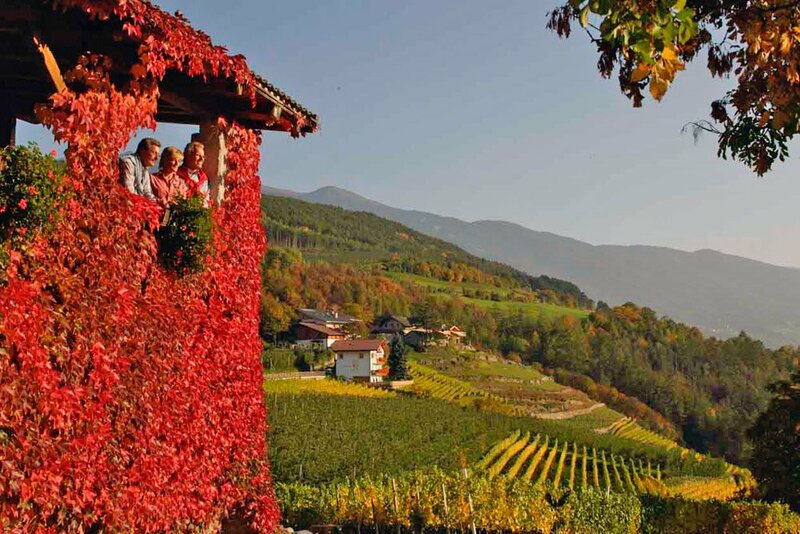 Autumn is “Torggelen” time on the calendar and opens the season with culinary delights and events throughout Alto Adige. This ancient custom is based on a secular tradition and is celebrated nightly throughout the mountainous areas of the Alto Adige region. City neighborhood taverns and local mountain eateries display folklore costume and lavish menus of regional food and drink specialties too tempting for any passer-by to refuse. 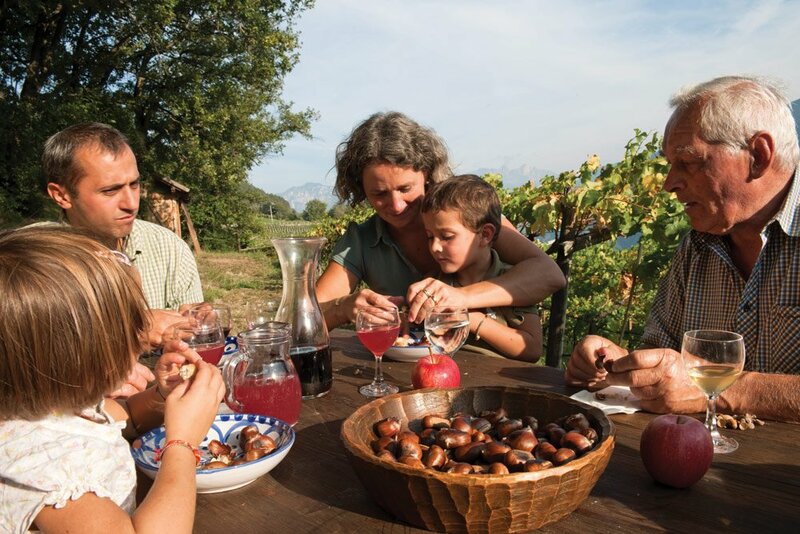 Taste fresh mountain cheeses, savory cold-cut platters and “South Tyrolean” dumplings with an accompanying glass or two of the “just bottled wine” commonly referred to as “Novello” or freshly pressed apple juice. Old fashioned fun not to be missed during your mountain vacation. Today, several of the ancient customs and practices are still heartfelt and observed in the Isarco Valley, especially in the episcopal city of Bressanone and nearby villages. The annual Apple Fest in Naz/Sciaves not only celebrates the end of the apple harvest but also the newly crowned Miss Apple Queen with official dress, duties and year long reign. 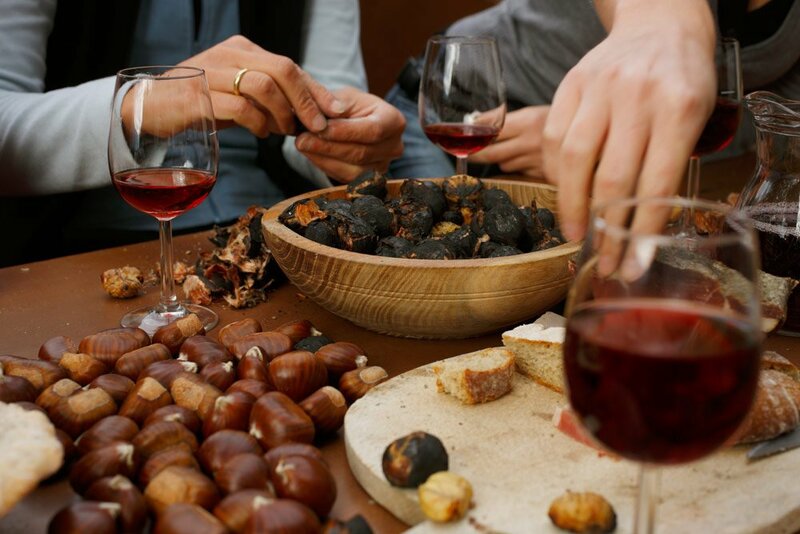 Among the many culinary events and happenings in autumn, the traditional “Sunnseitn” (sun dried apples) and Chestnut Food Fests are featured weekly on restaurant menus pleasing palates with variations of dishes made with local apples and chestnuts.